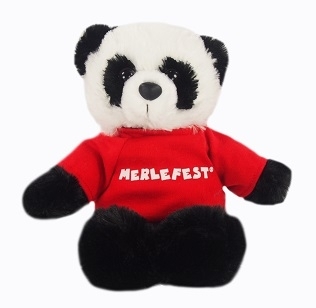 This is a soft 10" black and white panda best decorated with an imprinted t-shirt. Pandas make great zoo souvenirs and are the perfect add-on to companion gift promotions for international travel services. This stuffed animal is from our Premium line of plush toys. This product complies with all U.S. Consumer Product Safety Improvement Act (CPSIA) product safety requirements. Safe for children of all ages.